The NEW A.S. album BETWEEN THE TWO ETERNITIES is almost ready for release! 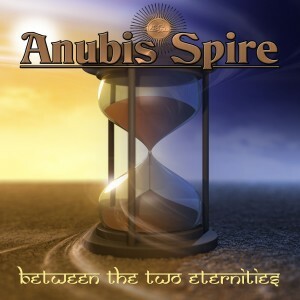 The new Anubis Spire album, BETWEEN THE TWO ETERNITIES, is set for release over the next few weeks. Check back here or at our FB page for details. BETWEEN THE TWO ETERNITIES features 11 new instrumental pieces and the debut of Anubis Spire’s new drummer, Fred DeRuvo. Our LAST annual FAN APPRECIATION HOLIDAY SALE?? Now through December 11th ALL currently released ANUBIS SPIRE CDs are included in our fan appreciation sale! Buy direct from the manufacturer for rock bottom prices! (How rock bottom? How’s 3 bucks a CD sound?) This might be our last CD sale ever…we’re seriously considering phasing out our physical product line after our new release…so get them while you can. NEW Anubis Spire album to be released any day now! The new Anubis Spire album – BETWEEN THE TWO ETERNITIES – is finished and will be released in the next few weeks. The album features eleven brand new A.S. instrumental pieces and the debut of new A.S. drummer, Fred DeRuvo. This album has been called a “return to their roots,” as it returns to a mostly instrumental format, but we believe it is not at all a step back, but a step forward. We will announce the release date here and on our FB page. Please check back soon.